“Subtle”, “understated” and “muted colours” are just a few descriptions you can forget in this seven-bedroom, nine-bathroom mansion. The property is set over four storeys and stretches to a huge 13,000sq ft. Each of the two master bedrooms has its own suite in a separate wing of the house, which sits in almost five acres in one of New England’s wealthiest spots. 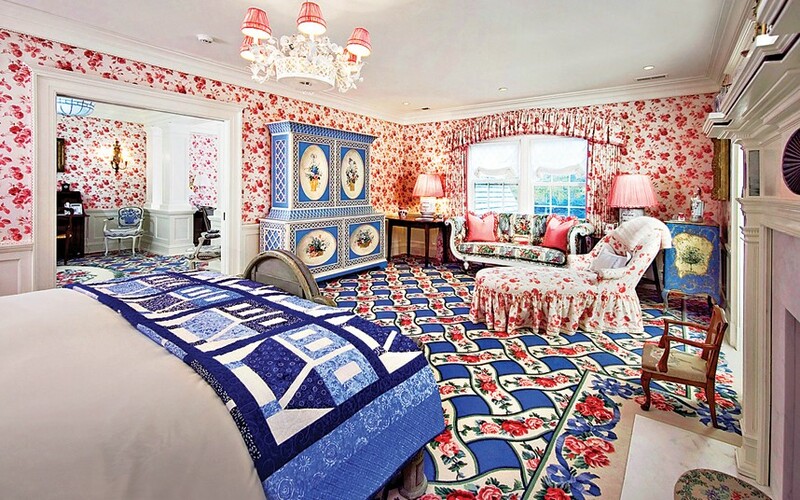 If you want to doze off in period style, this is the bedroom for you. There are arched beams, wynd braces and ceiling timbers, as well as Zoffany wallpaper and fabrics. The house is thought to date back to the 13th century and has five bedrooms. The property also boasts a chapel, a pavilion, stables, an orchard and an arboretum. The bedroom gives away the history of this 15th-century chateau set in large grounds, including a lake and several natural springs. There are three bedrooms in all, each with an en suite and one with a terrace overlooking the lake. Stone and marble are used throughout the property. And for that essential nightcap, you could pop down to the vaulted wine cellar. 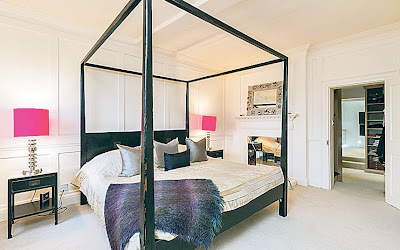 This bedroom may lack bling, but with its own sitting room and en suite, there is plenty of space. It overlooks its private pool and two acres of grounds that come with the house. There are seven bedrooms and nine bathrooms in total, plus a gym. The master bedroom in this 18th-century Queen Anne house has wooden panelling and a fireplace. It also has steps leading up to a dressing room with floor-to-ceiling wardrobes. The handsome five-bedroom house is approached through a walled garden. You might think the most remarkable feature of this master bedroom is its chandelier, or the en suite, but think again. It has a dressing room with floor-to-ceiling glass-fronted showcases fitted out solely for shoes. There are six other bedrooms plus a gym, indoor pool and a bar. Bling it on. 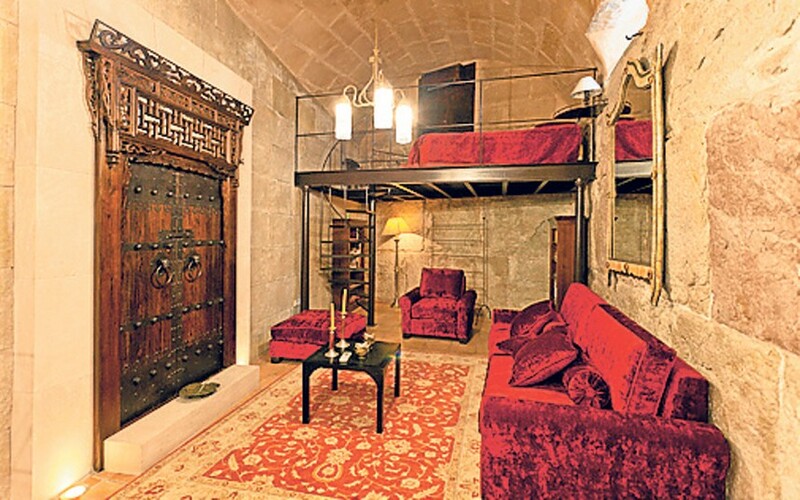 You can really get in the mood in this spacious two-bedroom apartment in Palma Old Town. It has two bathrooms plus a Turkish Bath. The perfect place to relax before ascending the spiral steps to a velvet-clad sleeping area. Space and style are present in equal proportions in this six-bedroom home set in an acre of grounds. 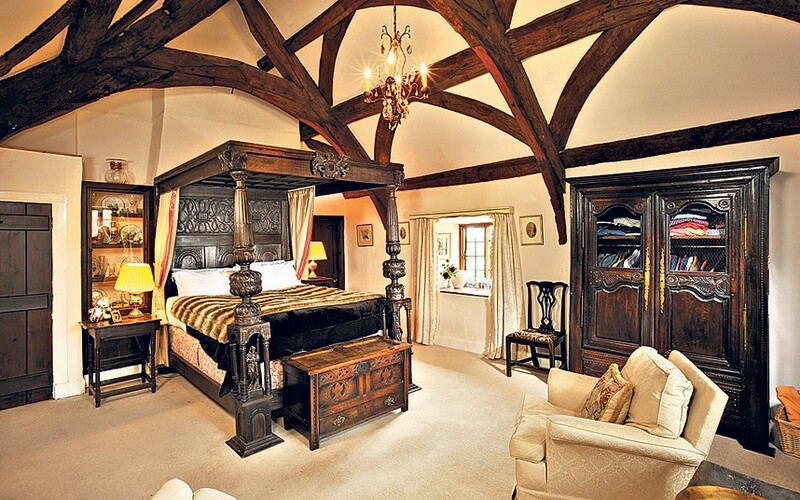 Its master bedroom has a vaulted ceiling with a raised seating area. This family house also has a cinema room and gym with a built-in sauna. 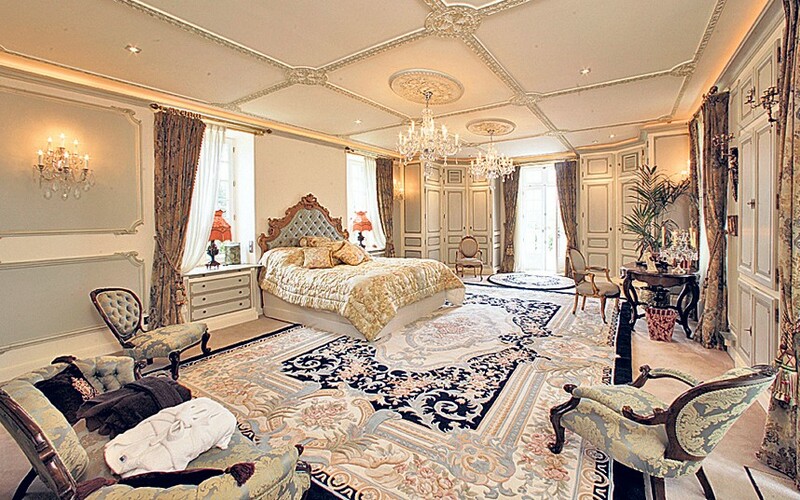 There are six bedrooms in this house, but the master bedroom particularly stands out. 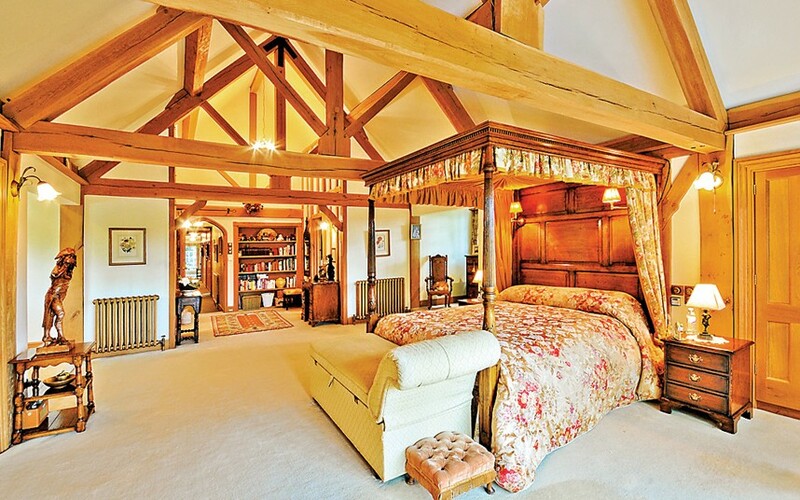 It has exposed beams, a four-poster bed and a large balcony overlooking the swimming pool and gardens. The property has Elizabethan origins yet has been extensively modernised. 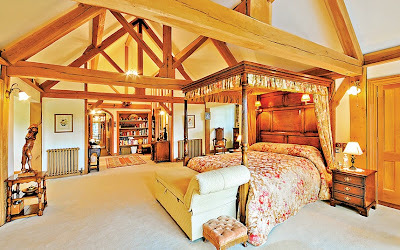 All the bedrooms have dramatic countryside views. Where do you start? This house boasts a striking modernist design, is eco-friendly and has five bedrooms. But for fitness fanatics, there is a leisure complex with an infinity pool, steam room and gym. The master bedroom also has a modern en suite and comes complete with a swing.